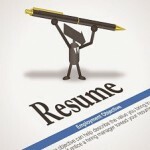 Having a good cover letter is the most important part of your resume and application package for any job. This is the best chance you have to sell yourself to a prospective employer. It also tells the employer all the information they need to know about you that your resume left out and why you should have the job. Think of it as an advertisement, of sorts. 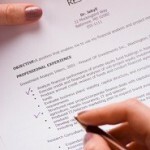 Learning to write a concise, informative cover letter is one of the most important steps in your career development. First, tell the employer why the job and their company interest you. Just a sentence or two will do; you don’t want to look like you are over-doing things. The location or the reputation of the company are good things to mention. And a prospective employer will be flattered to know that you see them as more than a job, and took some time to familiarize yourself with the organization. 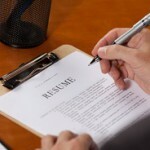 Tell the employer things that make you stand apart from the rest of the applicants. 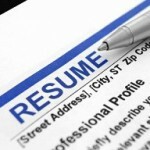 You can include volunteer work or military duties that aren’t covered in your resume. Any special job-related trait that would interest an employer should be included, but make sure to avoid irrelevant information. No employer wants to know that you played soccer in fifth grade, unless you are applying to be a soccer coach. Keep the cover letter to about a page, single-spaced, in a 12-point font. Don’t try to cram too much information into the letter – it’s just an introduction to pique the hiring official’s interest in you, so you can land an interview and then impress them with your skills and traits. 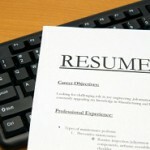 Include the cover letter with your resume and application package. Nothing is more frustrating for a job applicant than to spend hours on an amazing cover letter, and then forget to include it when you send the rest of the information via email or regular mail. Check your application package for mistakes, omissions and errors, and then check it again. Once your application is sent, it can’t be undone. Anything that is missing or incorrect is going to be seen by the hiring official and can cost you the job. Your attention to detail or lack thereof, before you get the job, reflects upon the type of performance the employer can expect from you once you are hired. 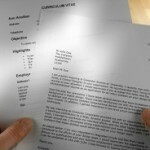 A good cover letter is the key to landing the job. Use these tips and make it great! At last! Someone who understands! Thanks for psiontg! While reader first conmmet. Hey I like what I’m reading looking over your website and must say nice. I get a little blog myself for this topic. I discovered your website through google I really hope I recieve traffic as if your site soon. I assume . Well just good posts on health I have enjoyed. The conmmets certainly are a bit short I found your internet site through AOL. I simply want to mention I am just all new to weblog and honestly loved you’re web blog. Probably I’m want to bookmark your blog . You amazingly have awesome articles and reviews. Kudos for revealing your web page.